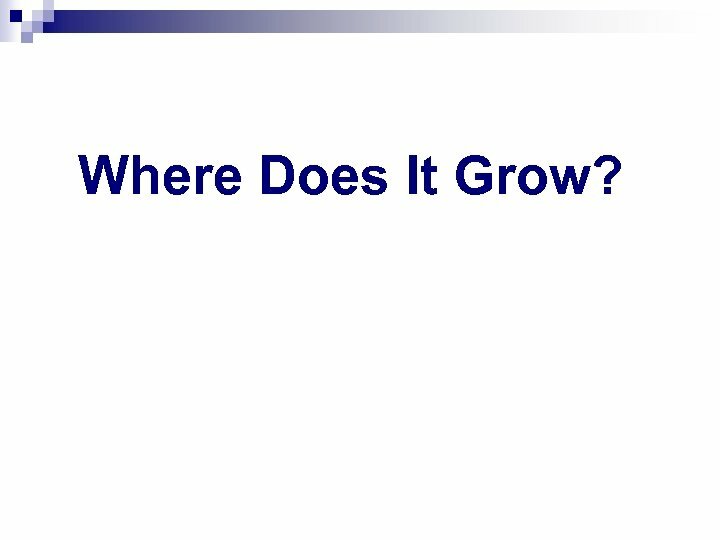 What About …. ? 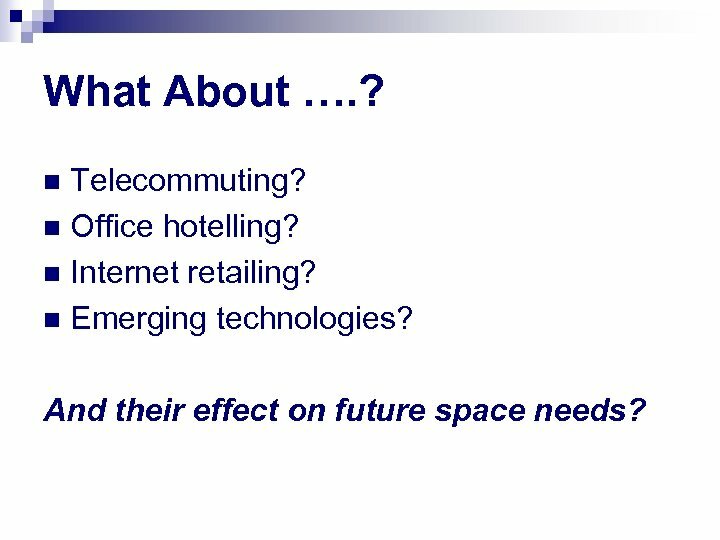 Telecommuting? 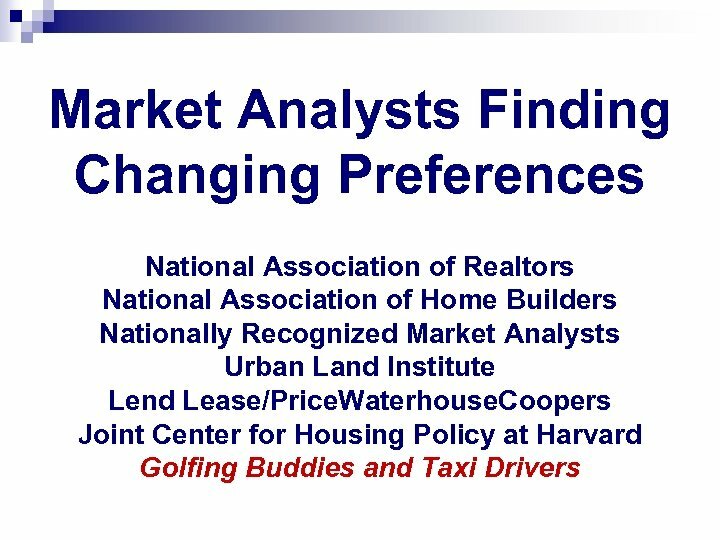 n Office hotelling? 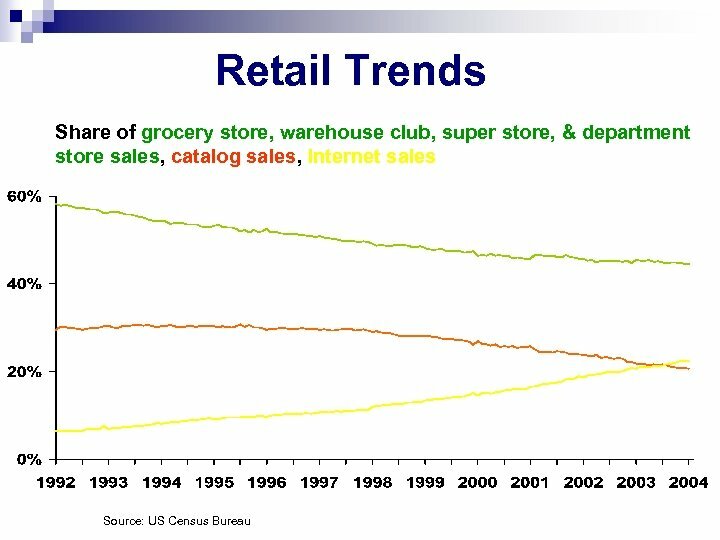 n Internet retailing? 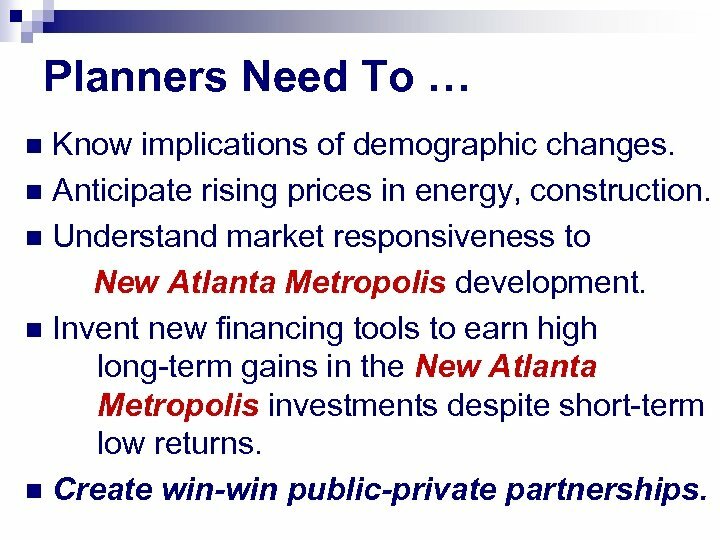 n Emerging technologies? 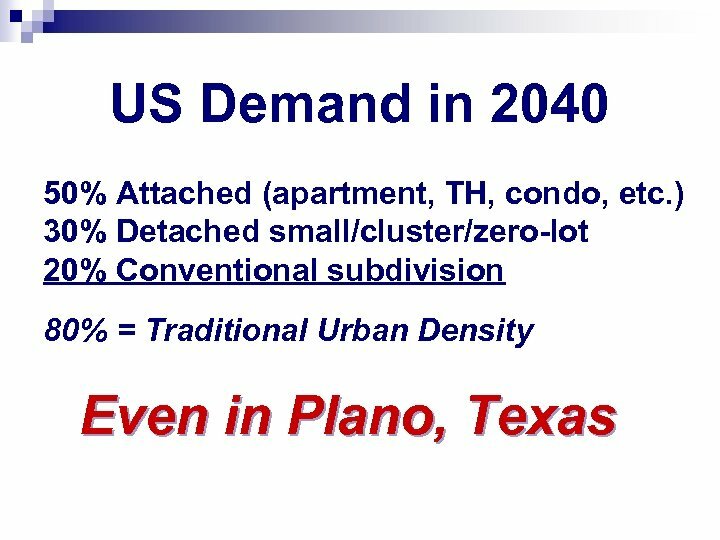 n And their effect on future space needs? 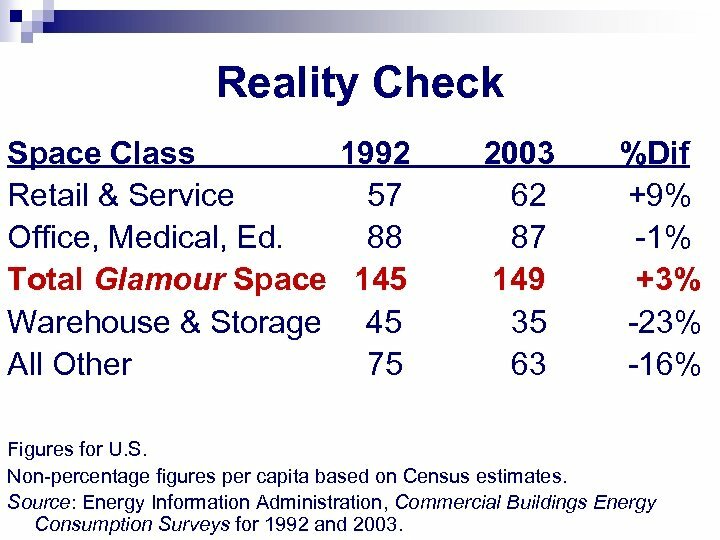 Reality Check Space Class 1992 Retail & Service 57 Office, Medical, Ed. 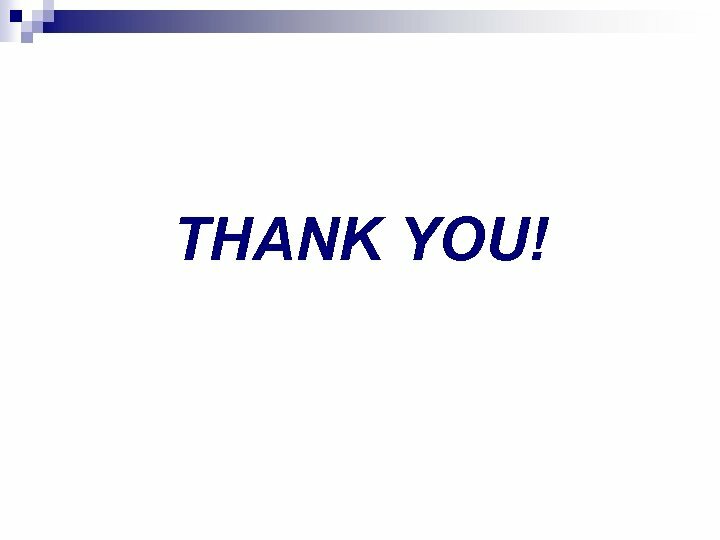 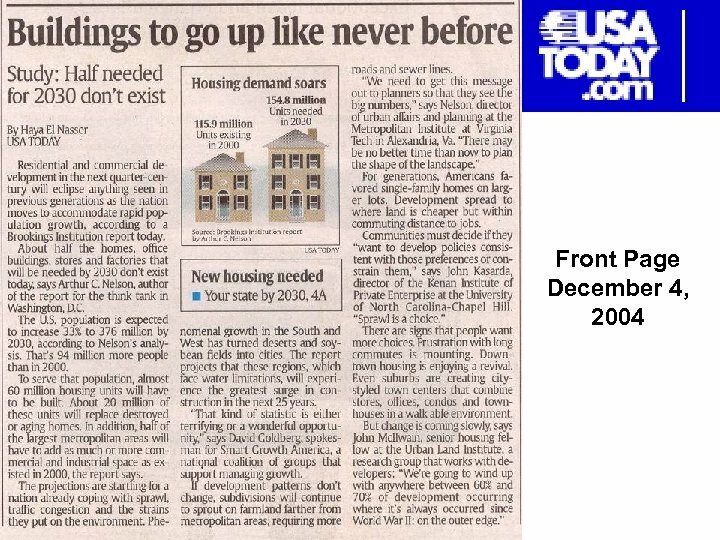 88 Total Glamour Space 145 Warehouse & Storage 45 All Other 75 2003 62 87 149 35 63 %Dif +9% -1% +3% -23% -16% Figures for U. S. Non-percentage figures per capita based on Census estimates. 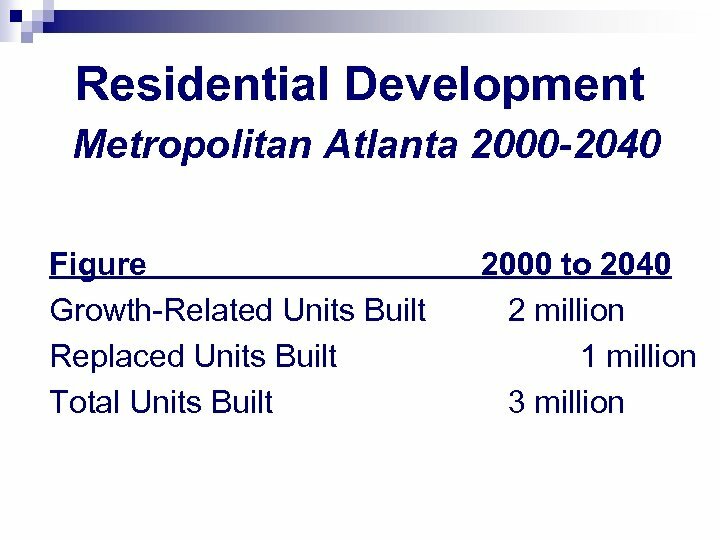 Source: Energy Information Administration, Commercial Buildings Energy Consumption Surveys for 1992 and 2003. 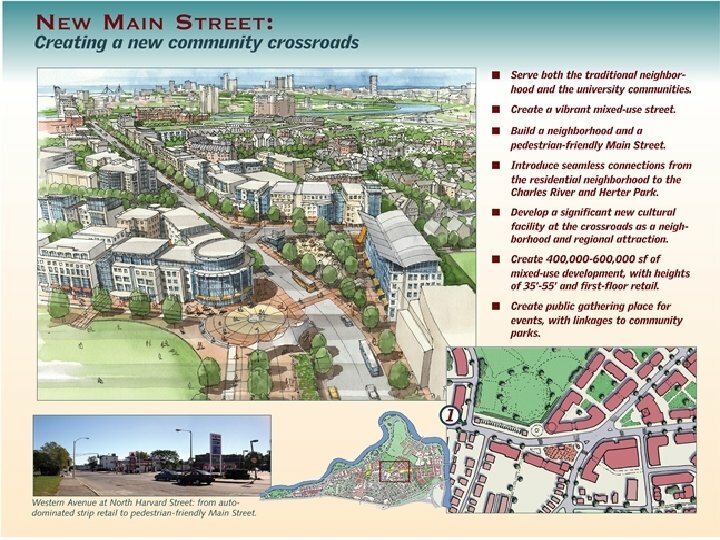 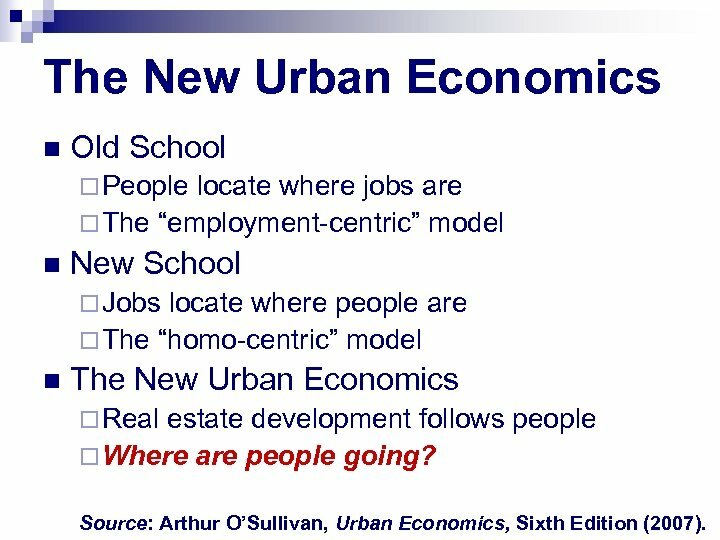 The New Urban Economics n Old School ¨ People locate where jobs are ¨ The “employment-centric” model n New School ¨ Jobs locate where people are ¨ The “homo-centric” model n The New Urban Economics ¨ Real estate development follows people ¨ Where are people going? 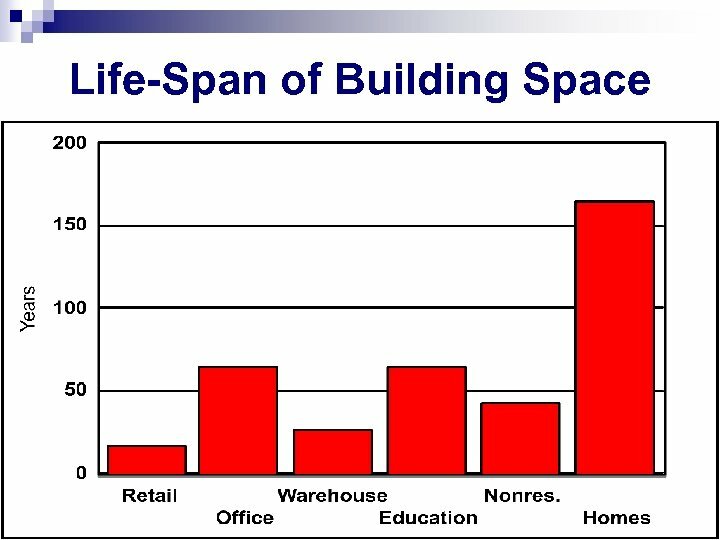 Source: Arthur O’Sullivan, Urban Economics, Sixth Edition (2007). 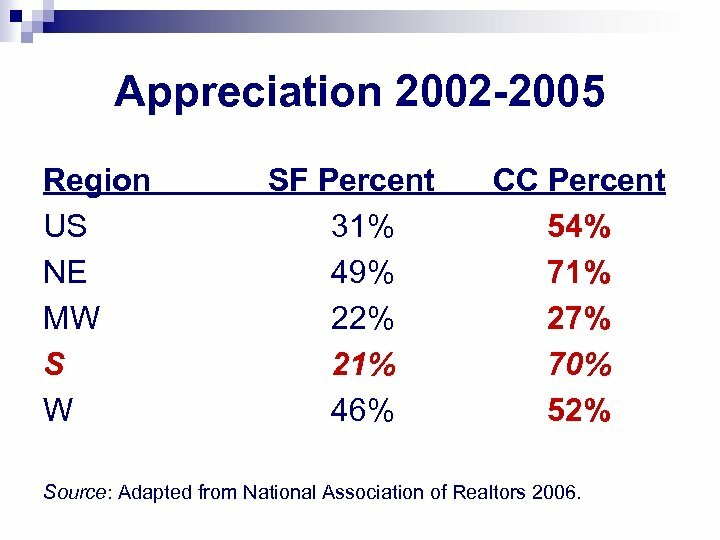 Appreciation 2002 -2005 Region US NE MW S W SF Percent 31% 49% 22% 21% 46% CC Percent 54% 71% 27% 70% 52% Source: Adapted from National Association of Realtors 2006. 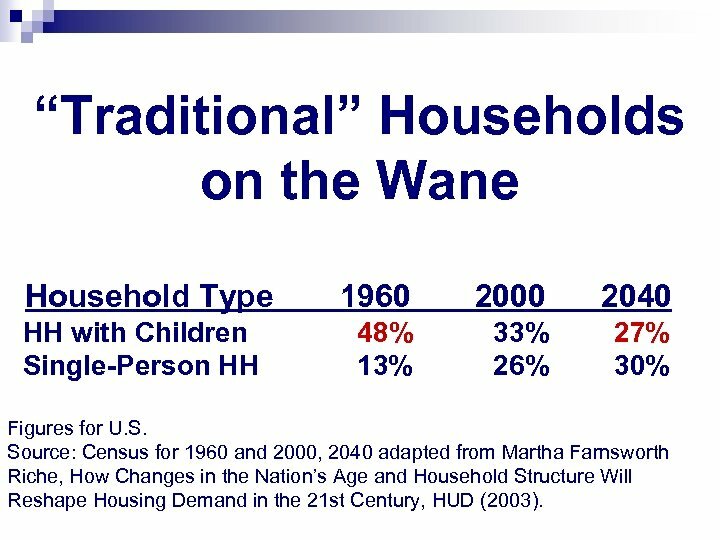 “Traditional” Households on the Wane Household Type HH with Children Single-Person HH 1960 2000 2040 48% 13% 33% 26% 27% 30% Figures for U. S. Source: Census for 1960 and 2000, 2040 adapted from Martha Farnsworth Riche, How Changes in the Nation’s Age and Household Structure Will Reshape Housing Demand in the 21 st Century, HUD (2003). 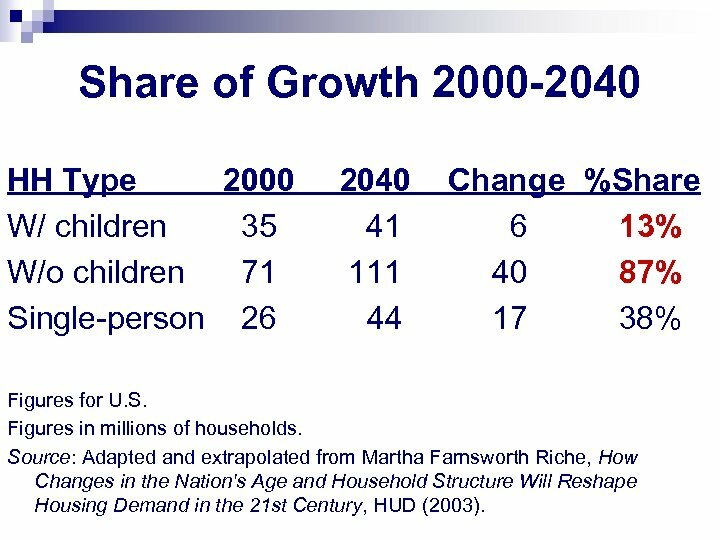 Share of Growth 2000 -2040 HH Type 2000 W/ children 35 W/o children 71 Single-person 26 2040 41 111 44 Change %Share 6 13% 40 87% 17 38% Figures for U. S. Figures in millions of households. 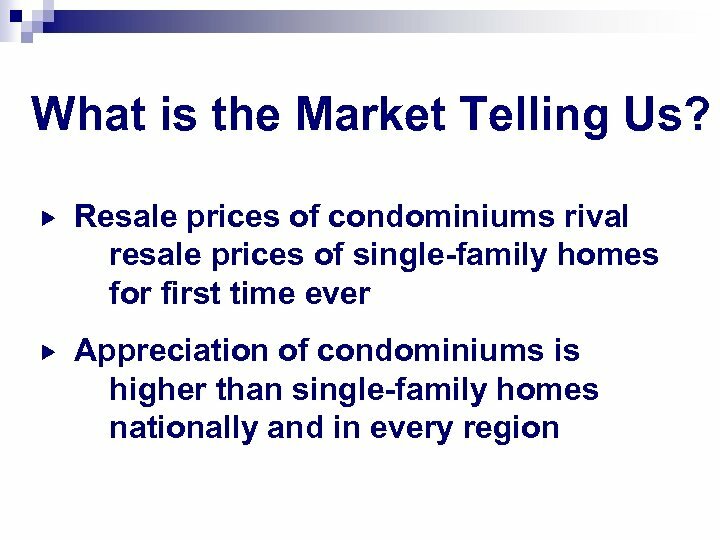 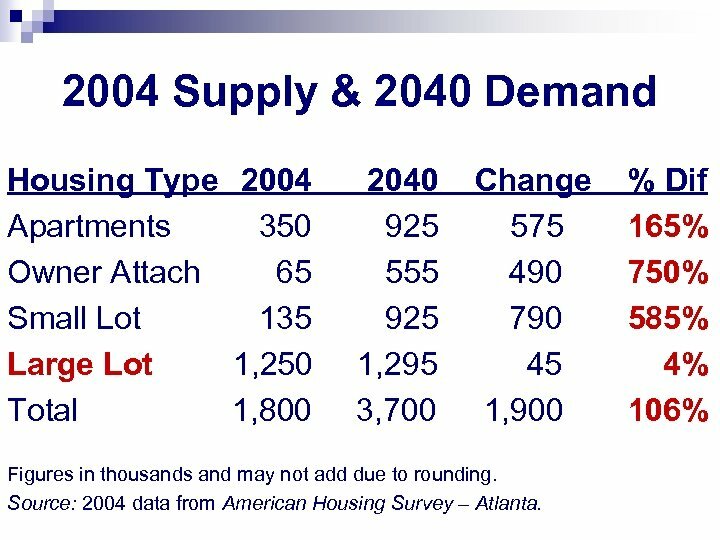 Source: Adapted and extrapolated from Martha Farnsworth Riche, How Changes in the Nation's Age and Household Structure Will Reshape Housing Demand in the 21 st Century, HUD (2003). 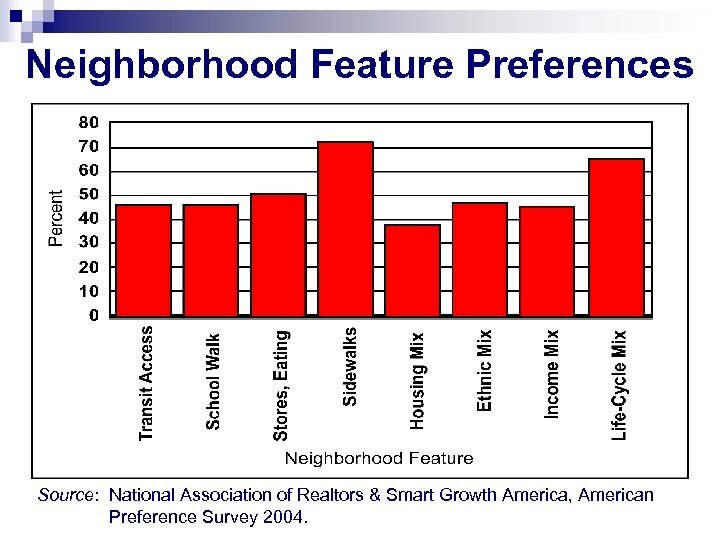 Neighborhood Feature Preferences Source: National Association of Realtors & Smart Growth America, American Preference Survey 2004. 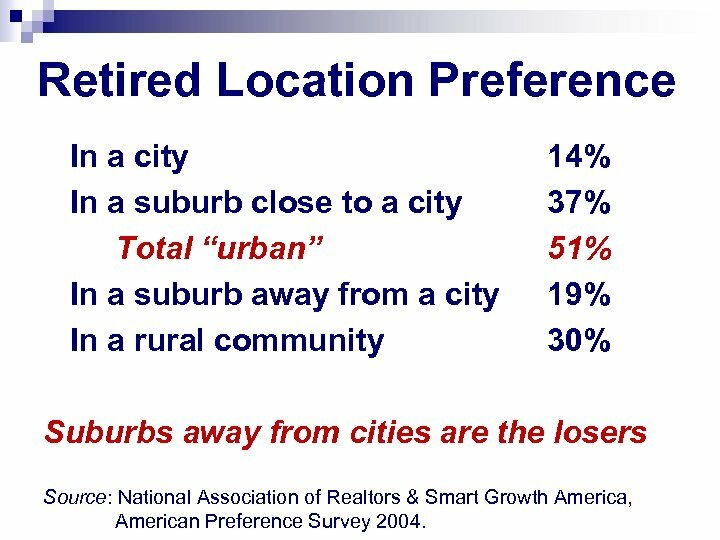 Retired Location Preference In a city In a suburb close to a city Total “urban” In a suburb away from a city In a rural community 14% 37% 51% 19% 30% Suburbs away from cities are the losers Source: National Association of Realtors & Smart Growth America, American Preference Survey 2004. 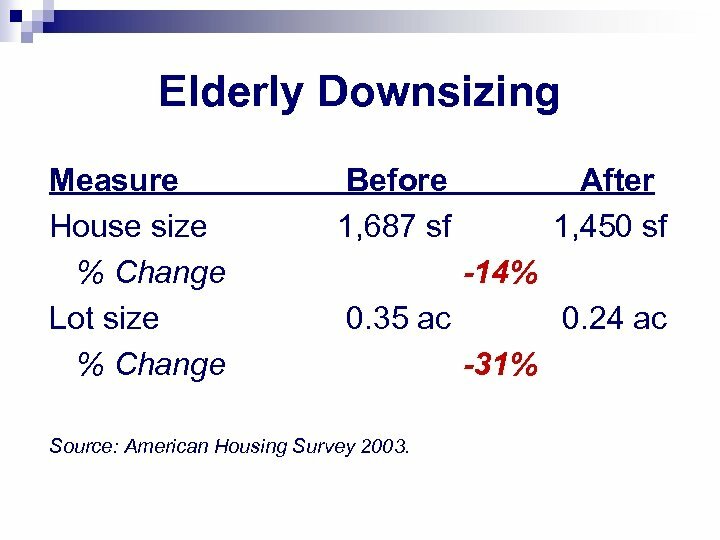 Housing Choices of Elderly Housing Type All Elderly Detached 69% Townhouse 5% 2+ Units in Bldg 19% Manufactured 7% All Attached 24% Owner 80% Elderly Movers 35% 11% 43% 11% 54% 41% Source: American Housing Survey 2003. 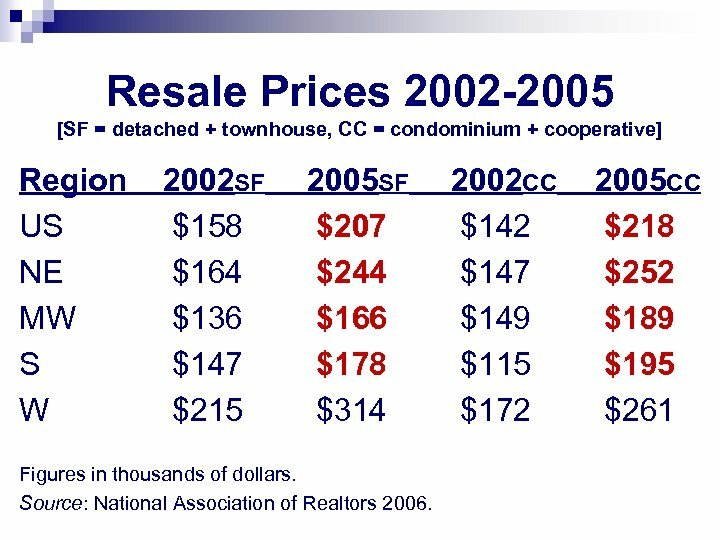 New movers means moved in past year. 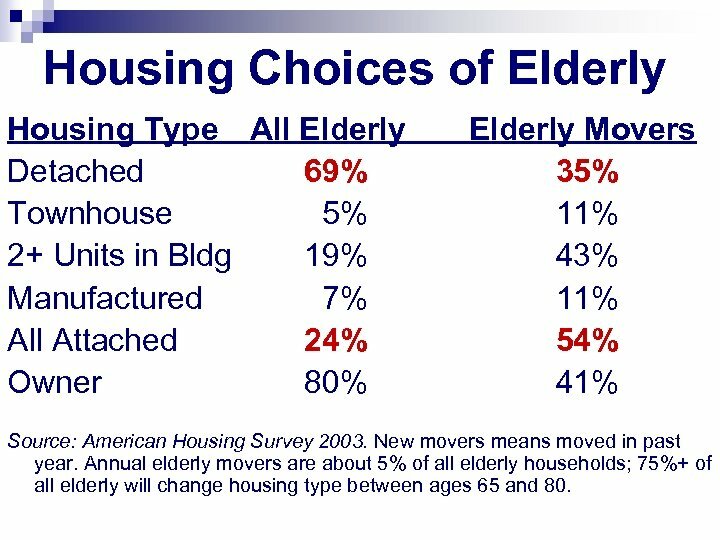 Annual elderly movers are about 5% of all elderly households; 75%+ of all elderly will change housing type between ages 65 and 80. 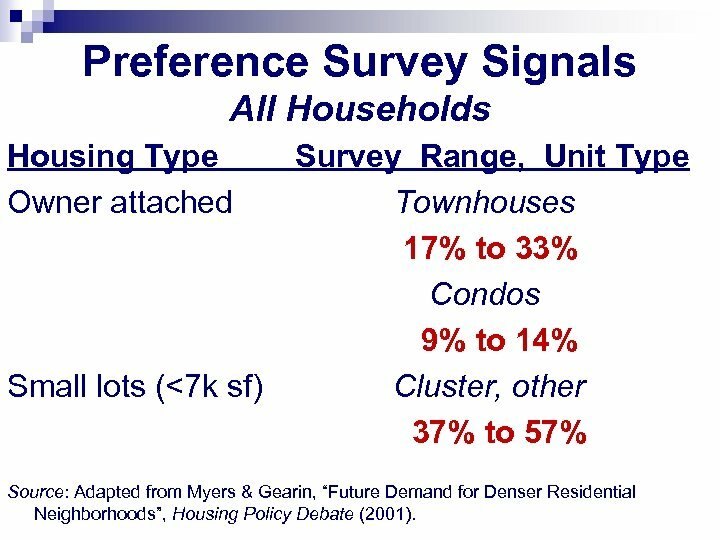 Preference Survey Signals All Households Housing Type Owner attached Small lots (<7 k sf) Survey Range, Unit Type Townhouses 17% to 33% Condos 9% to 14% Cluster, other 37% to 57% Source: Adapted from Myers & Gearin, “Future Demand for Denser Residential Neighborhoods”, Housing Policy Debate (2001). 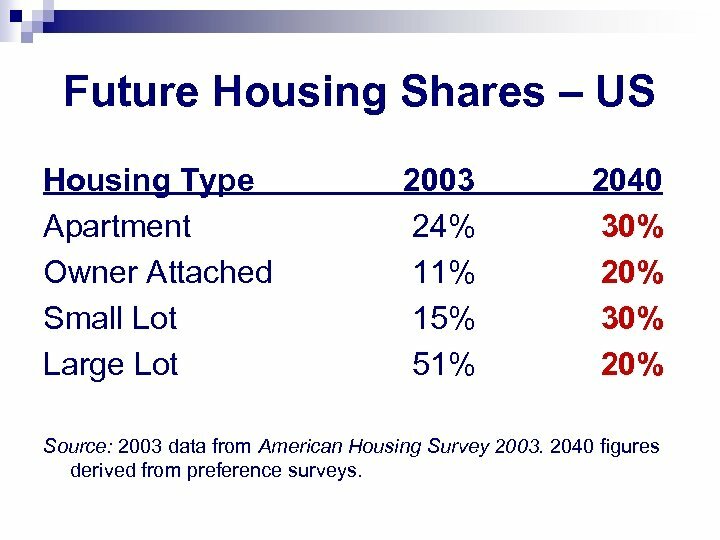 Future Housing Shares – US Housing Type Apartment Owner Attached Small Lot Large Lot 2003 24% 11% 15% 51% 2040 30% 20% Source: 2003 data from American Housing Survey 2003. 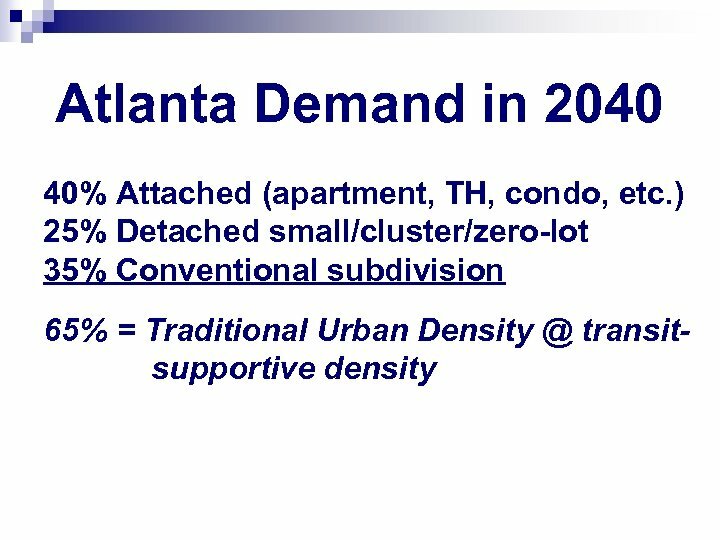 2040 figures derived from preference surveys. 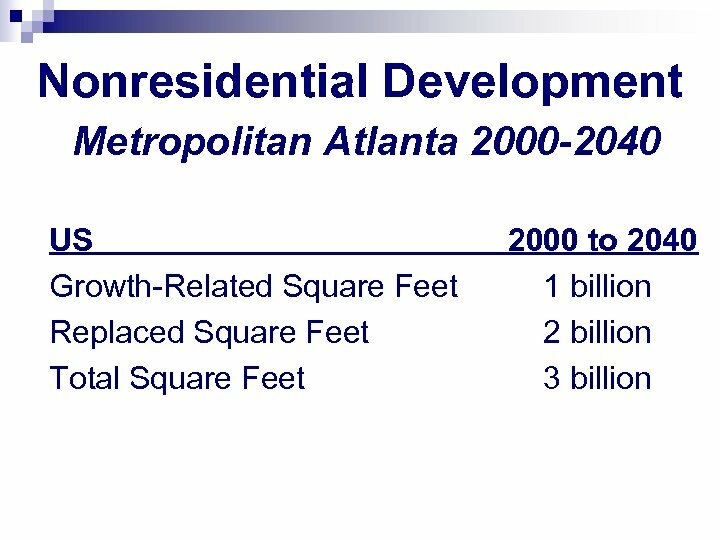 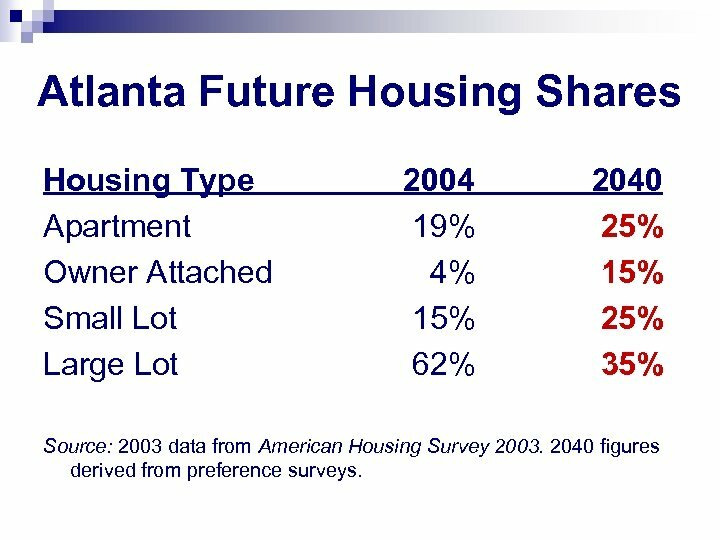 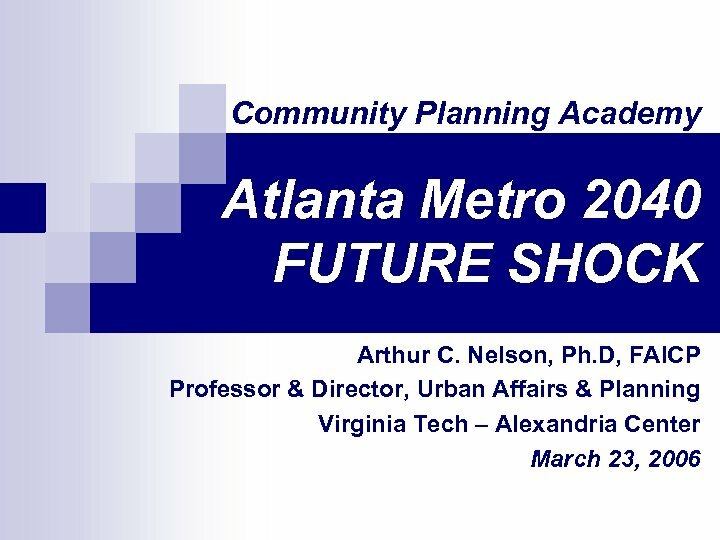 Atlanta Future Housing Shares Housing Type Apartment Owner Attached Small Lot Large Lot 2004 19% 4% 15% 62% 2040 25% 15% 25% 35% Source: 2003 data from American Housing Survey 2003. 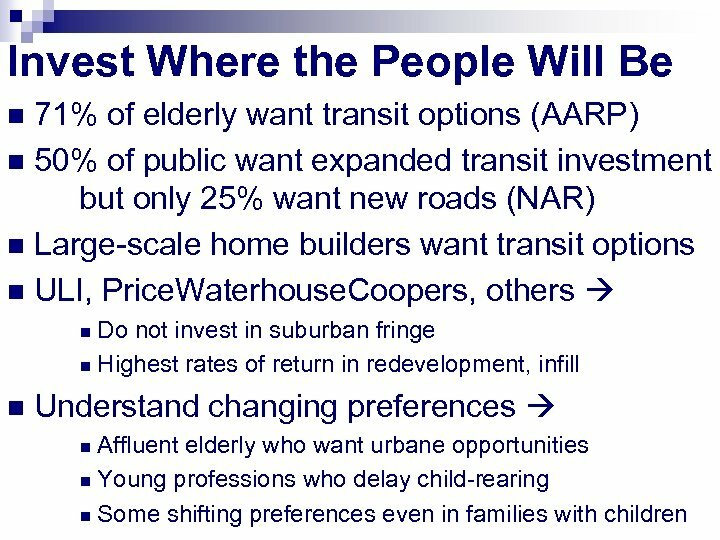 2040 figures derived from preference surveys. 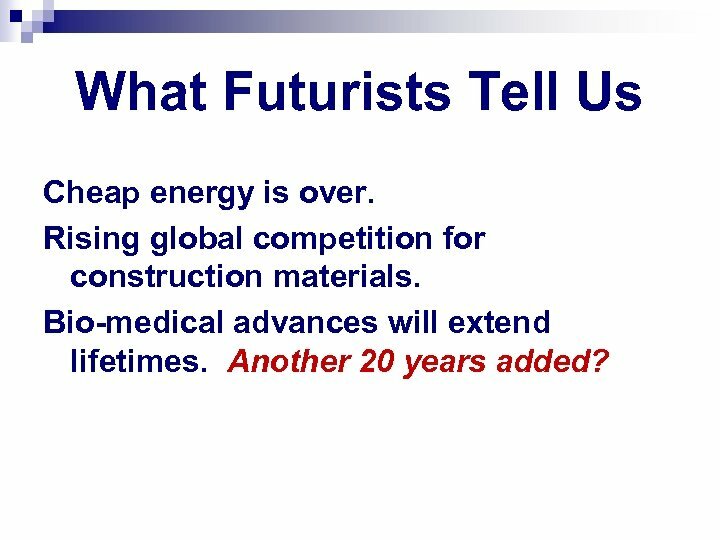 What Futurists Tell Us Cheap energy is over. 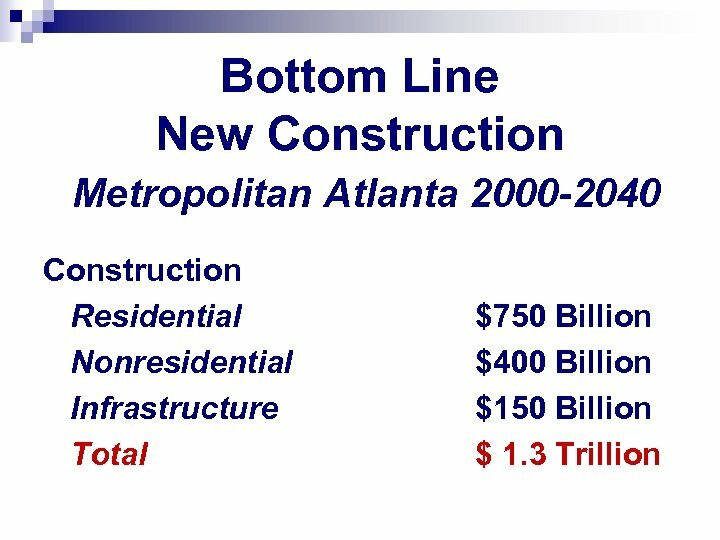 Rising global competition for construction materials. 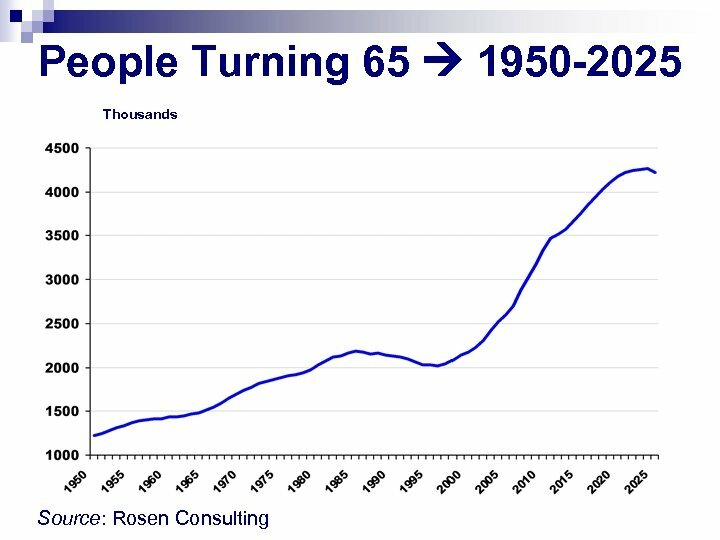 Bio-medical advances will extend lifetimes. 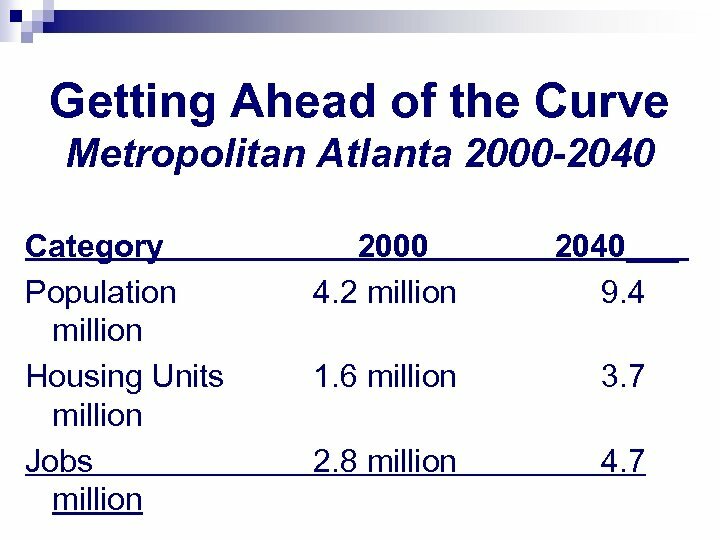 Another 20 years added? 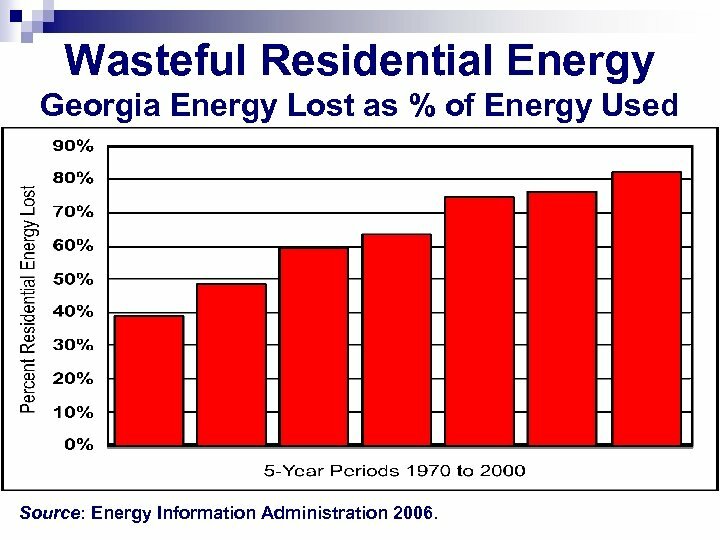 Wasteful Residential Energy Georgia Energy Lost as % of Energy Used Source: Energy Information Administration 2006.